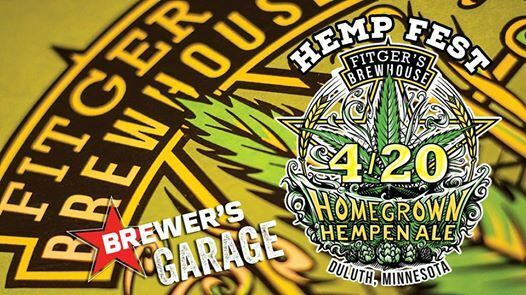 Joint us for our annual Fitger's Brewhouse HOMEGROWN HEMPEN ALE Release Party on 4/20 at our new venue, The Brewers Garage on E Michigan Street in Duluth! Headlined by Minneapolis-based Har Mar Superstar at 9pm, led by R&B/Pop/Soul singer/songwriter Sean Tillmann. Beginning as a solo performer in 1999, Har Mar Superstar is now a full band revue, influenced by Prince and Stevie Wonder, among other R&B/Soul/Pop greats. A host of vendors representing a range of Duluth’s craft culture will be a significant presence at the yearly festival including Harmonic Goods with environmentally-friendly hemp-made bags; Blue Loon Events with a tye-dye booth, Duluth Screen Printing Co. is bringing a live press station, Apple House CBD Wisconsin with CBD-infused products, and Fitger’s Brewhouse’s own Beer Store featuring Hemp Ale merchandise. 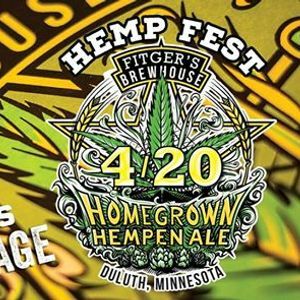 Fitger’s Brewhouse, recently named Minnesota’s Best Brewpub by industry publication The Growler, will also issue its annual release of its Homegrown Hempen Ale--an American amber pale ale with a nutty character--a yearly favorite from the Brewery.